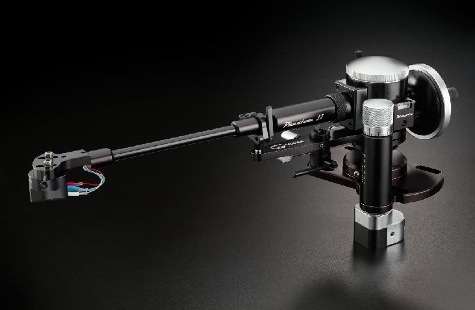 Bob Graham has been producing tonearms rated at the top of their field for many years. Now there’s the Phantom MkIII and the Elite. The performance and information retrieval of these arms is peerless: read Analog Planet and The Absolute Sound. Coupling that performance with supreme engineering, total predictability of set-up and ease of use produces arms that are just wonderful. As you might expect at the price there is probably nothing to better them and only a very small handful of other arms remotely comparable. The removable arm tube and the supplied jig allow you to install and align the cartridge absolutely precisely, looking down through the jig onto the alignment cross-hairs. Then simply re-connect the arm tube and re-balance the arm. VTA can be set precisely and repeatably even while the arm is playing, allowing fine-tuning by ear. As an idea of how simple the arm is to set up it’s perfectly feasible to have a cartridge installed and the arm in use within 30 minutes of removing it from the box. The Phantom is available with 9″, 10″ and 12″ arm tubes and with SME or Graham bases. Arm boards are available for many different turntables. Additional arm tubes allow you to have alternative cartridges ready-mounted for a rapid change.